Mintek is a leading provider of minerals processing and metallurgical engineering products and services to industries worldwide. 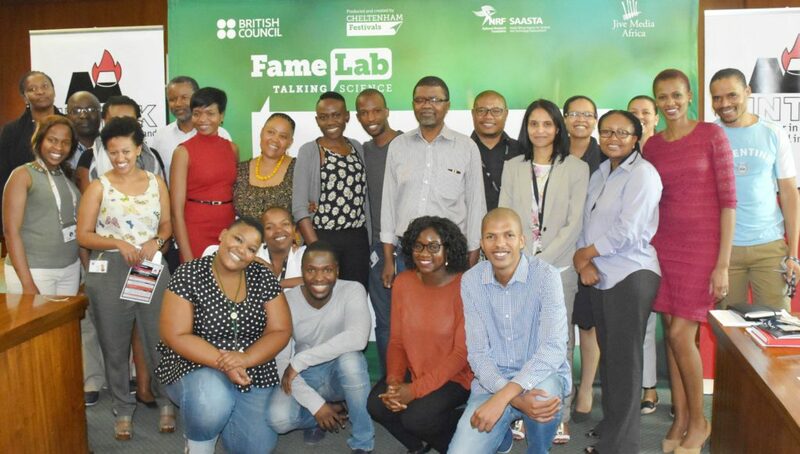 Their FameLab SA participants had the perfect platform to put their public speaking and communication skills to the test, in front of experienced Mintek judges. The judges were: Ashma Singh, a Senior Technical Specialist in Mintek’s Mineral Processing Division; Mokae Bambo, a scientist at Mintek researching Nanoscience and Nanotechnology for water treatment and Portia Mudau, the Principal Engineer of Mintek’s Minerals Processing Division who is passionate about mentorship and education. Nanji Sheni (above) won the heat and along with runner-up, Tshiamo Legoale, will join the other FameLab SA contestants in the semi-finals! 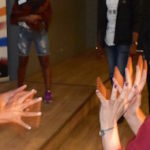 Nigerian-born and South African grown, Nanji said that FameLab SA was the perfect opportunity to be more social about her science and tap into her passion for public speaking. 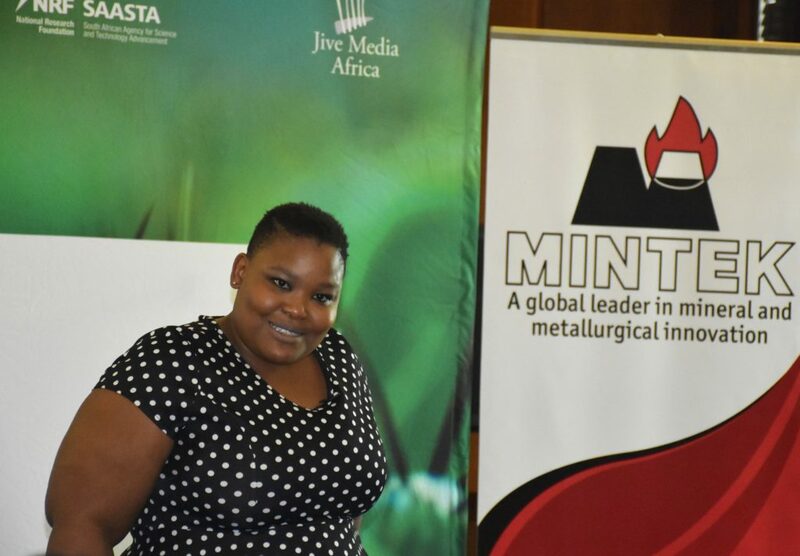 She is a Chemical Engineer who did her Masters in Minerals Processing and currently works as an Engineer-in-training at Mintek, optimising mining processes. 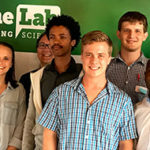 Jive will be tweeting live from semi-finals, follow @JiveMediaAfrica, and tweet us with the hashtag #FameLabSA to show your support for Nanji and Tshiamo!